Primorskiy kray. Sotsial’no-ekonomicheskie pokazateli: Statisticheskiy ezhegodnik [Primorsky Krai. 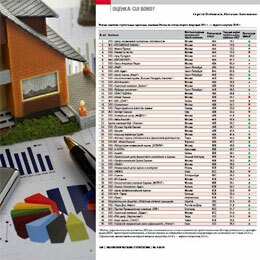 Socio-Economic Indicators: Statistical Yearbook]. Vladivostok: Primorskstat, 2013, 318 p.
Iskhakov K. Polozhenie na Dal’nem Vostoke [Situation in the Far East]. Dal’nevostochnyy uchenyy, Vladivostok, 2007, March, 14, p. 2. Minekonomrazvitiya predskazalo padenie dokhodov grazhdan Rossii [Ministry of Economic Development Predicted Incomes Fall of Russian Citizens]. IA REGNUM, 2015, October, 8, available at: https://regnum.ru/news/economy/1986957.html. Regiony Rossii. Sotsial’no-ekonomicheskie pokazateli — 2014 g. [Regions of Russia. Socio-Economic Indicators — 2014]. Federal’naya sluzhba gosudarstvennoy statistiki, available at: http://www.gks.ru/bgd/regl/b14_14p/IssWWW.exe/Stg/d01/04-15.htm. Godovaya inflyatsiya znachitel’no umen’shila real’nye pensii, zarplaty i denezhnye dokhody zhiteley Primorskogo kraya, kak i vsekh rossiyan [Annual Inflation Significantly Reduced Real Pensions, Salaries and Incomes of Primorye Residents, as Well as of All Russians]. Novosti Vladivostoka na VL.ru, 2016, June, 3, available at: http://www.newsvl.ru/economics/2016/06/03/148081/#ixzz4TqEdQlfV. Sotsial’no-ekonomicheskoe polozhenie federal’nykh okrugov — 2014 [Social-Economic Situation in the Federal Districts — 2014]. Federal’naya sluzhba gosudarstvennoy statistiki, available at: http://www.gks.ru/bgd/regl/b14_20/Main.htm. Ishaev V. Dal’niy Vostok nuzhno razvivat’ s prognozom na 40 let [The Far East Should be Developed With the 40-Years Prospect]. 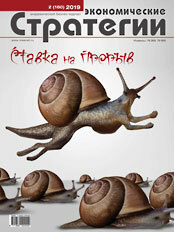 RIA Novosti, 2010, April, 15, available at: https://ria.ru/interview/20100415/222701628.html.